With the 2018 season concluding, here we will look at 4 players to watch in 2019. Some will look to break out, others will look to redeem themselves, and others are just flying under the radar waiting for their name to be mentioned. No matter what, these players should have a close eye kept on them this coming year. 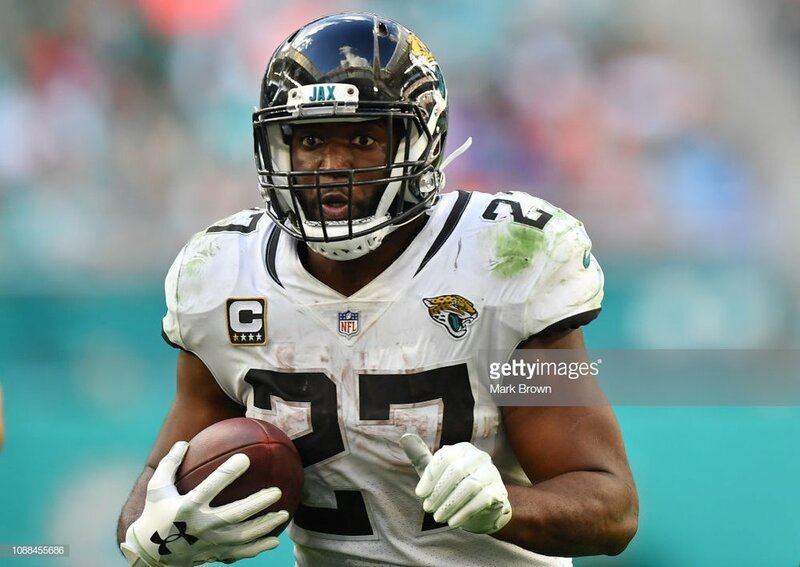 We can all admit that the Jaguars offense is possibly the worst in the NFL but running back Leonard Fournette played well under expectations. In an injury-aided season, Fournette only played in only 8 games, and never ran for over 100 yards in a game. Compared to his 1,040 rushing yards in his rookie season, he only had 439 yards in his sophomore season. He also only had 5 touchdowns on the season compared to 9 his rookie season. It’s safe to say Fournette had a sophomore slump if you want to call it that. Is it a sophomore slump, or is this really the player Leonard Fournette is? With hopefully a revamped offense and a fix to the debacle that is Blake Bortles, Fournette can rebound and carry the Jags the way he did in 2017. Quarterback Jared Goff led an offense that absolutely dominated the NFC in 2018. Goff led his team to a 13-3 record, a first-round bye in the playoffs, and an appearance in the Super Bowl. He threw 32 TD and only 12 INT, with 4,688 yards in the air. His best season as a pro, Goff earned his second Pro Bowl appearance. After the Super Bowl defeat to the New England Patriots, questions were raised whether Goff was a “system quarterback” or if he can win a big game with his arm. The Rams offense ran through Todd Gurley, and Goff fed off that. When Gurley is exposed and you make Goff beat you, he struggled a bit in 2018. Watch for Jared Goff to look to prove the haters wrong and bring his team back to the Super Bowl where he can win the big game with the ball in his hands. Coming off an up and down rookie season, USC product Sam Darnold ended the season on a good note. In another lost season for the Jets, where they went 4-12, Darnold was a bright spot. Darnold ended the season with 17 TD and 15 INT and threw for 2,865 yards in 13 games. In the first 9 games, he threw for 11 TD and 14 INT, stats he would like to forget. In his last four games, the results were like night to day. The rookie threw for 831 yards with 6 TD and only 1 INT. The game that stood out to me was the Green Bay Packers game. Darnold stood toe to toe with Hall of Famer Aaron Rodgers as he threw for 341 yards and found the endzone 3 times in the 44-38 in an overtime loss. Darnold proved he has the talent to match up with anyone, and it is only a matter of time when you see him break out and put up huge numbers. The next guy we have is an interesting one. 2nd round draft pick to the Washington Redskins in 2018 was LSU running back Derrius Guice. In a three-year career at LSU, Guice ran for 3,074 rushing yards with 29 TD. He also averaged 6.5 AVG yards per carry on 471 attempts in his college career. Before the Tiger product took a handoff in the NFL, Guice’s career came crashing to an end as he tore his ACL prior to the season. With Alex Smith most likely out for the entire 2019 season, Guice will get more than enough work running the ball. It should be interesting to see how Guice recovers from the injury, and how he performs in his first year playing in the NFL. The State of Golden Tate: Done in Philly?